One of the prime methods to getting a mortgage loan approval during the current mortgage-underwriting climate is proving you have reserves: those dwindling 401k accounts might be useful after all. Mortgage Loans are difficult to obtain these days. Underwriters at Banks are about the craziest I have ever seen in 20 years as a mortgage professional. Arguments over the interpretation of an underwriting guideline—the kind I used to win back in the 90’s—are frequently Cold-War-style standoffs: there is no clear winner, you see it your way, and I see it mine. Folks think Underwriting a mortgage loan application is some kind of objective exercise. It’s not. Underwriters are human and they are subject to the same day in and day out challenges all the rest of us humans face, with one difference. If the Underwriter is having a bad day, or, in our current market, a BAD YEAR, that Underwriter is making obtaining a loan approval an impossible endeavor. 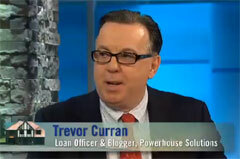 As a mortgage originator, I have to “pre-underwrite” each and every client’s situation. I have learned to “roll with the punches” as it were to find strengths in any given loan application and help my client get the loan approval for the home they wish to buy or refinance. I’m watching how Underwriters are reacting to market conditions or the directives they are receiving from their bank employers (too often confused and muddled) to gauge the best path to loan approval for my clients. Thus I look for every little bit of ammunition I can find in order to fight the good fight when I’m prequalifying a client. One nice bit of artillery is the ubiquitous 401k or retirement account. Underwriters like “reserves” on a loan application. Reserves is the money you have left over after closing on a mortgage loan; it’s the money you didn’t spend on downpayment and closing costs. In the event you experience some life catastrophe in the future, like a job loss, you can use the reserves to pay your mortgage every month while recovering from said catastrophe (finding another job). Reserves are required for two months’ worth of mortgage payments for Conventional (Non-Government) financing. The FHA does not require reserves for 1 or 2 family home financing; 3 and 4 family homes require 3 months’ reserves. Those are the guidelines, but let’s talk about getting your loan approved during the toughest mortgage underwriting era I’ve ever seen. Reserves count a lot; the more you have, the higher the probability of a loan approval, especially if your application is weak in any of the other areas of loan underwriting (IAC, or Income, Assets, Credit). Often, my clients come to me for prequalification with their standard documentation in hand: paystubs, Tax returns, bank statements. I always request but never seem to encounter proof of any retirement accounts, like 401k statements. And when I ask my clients, “Okay, you don’t have the statement with you, but how much is in your account right now?” I am often met with blank stares. Folks just don’t know. Considering how much money they may have lost in those retirement accounts in recent months, they don’t want to know. I understand a lot of us don’t want to face the bad news of dwindling retirement funds due to markets falling and investments failing. But you need to open up that 401k statement if you’re planning on applying for a mortgage. Those monies, eviscerated by market forces though they may be, can be very useful on a loan application. In fact, I’d be so bold as to say that right now, one of the prime methods to getting a mortgage loan approval is proving you have reserves. So get out those statements this chilly Sunday afternoon and face the music. Put your 401k statment together with your other documents you’ll need for the loan application. Doing so might be the difference between getting a mortgage approval, or not.